To achieve fast load times on your WordPress site, decreasing the size of your pages is crucial. This can mean the difference between a site that loads in under 1 second and one that feels like its crawling. 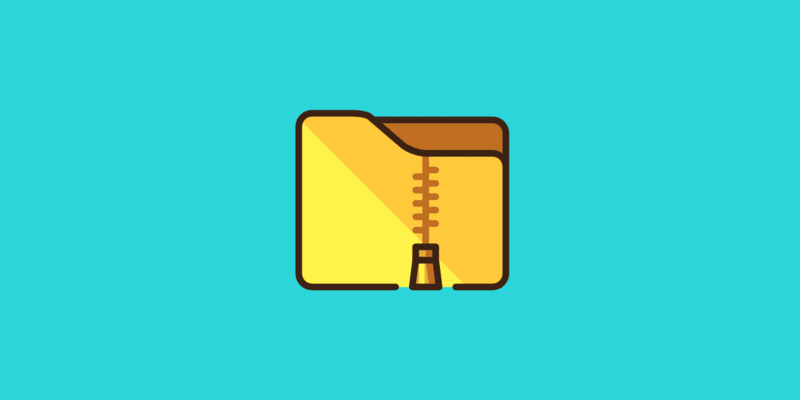 Enabling GZIP compression can help reduce the size of your webpage, which can significantly reduce the amount of time to download the resource, reduce data usage for the client, and improve the time to first render of your pages. All modern browsers support it and automatically negotiate GZIP compression for all HTTP requests. Today we are going to share with you how to check and enable GZIP compression on your web server. When a web browser visits a website it checks to see if the web server has GZIP enabled by seeing if the “content-encoding: gzip” response header exists. If the header is detected, it serves up the compressed and smaller files. If not, is serves up the uncompressed files. If you don’t have GZIP enabled, you will most likely see warnings and errors in speed testing tools such as Google PageSpeed Insights and GTmetrix. As you can see, Google says that compressing resources with GZIP or deflate can reduce the number of bytes sent over the network. GTmetrix also has a recommendation to enable GZIP compression to reduce the transfer size of the static resources. The first and quickest way to check if GZIP compression is enabled on your site is to simply head over to the free Check GZIP compression tool. Simply input your website and click search. It will return the amount that was saved by compressing the page with GZIP. Or it will return an error letting you know GZIP isn’t enabled. As you can see in our test below, we saved 66.9%. The second way to check is to verify if the “content-encoding: gzip” HTTP response header is active on your site. This is what the browser looks for when it sends a request to the server. You can open up Chrome Devtools and look at your first response header under the network section. You can also click on the “view large requests” option and it will show you the original and compressed size of the page. As you can see below the original page was 51.6 KB and the GZIP compressed version is 17.7 KB. If you don’t have GZIP compression enabled, there are a couple ways you can go about enabling it on your webserver. The first and one of the easiest is by using a caching plugin that supports enabling GZIP. 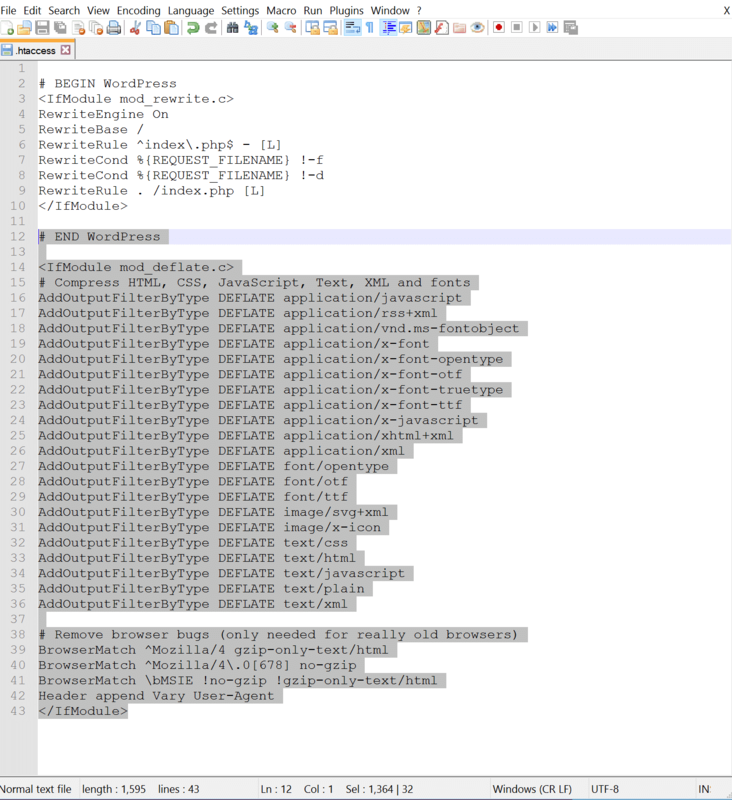 WP Rocket for example adds GZIP compression rules in your .htaccess file automatically using the mod_deflate module. W3 Total Cache also has a way to enable this for you under it’s performance section. Even though these are plugins, this still relies on permissions to modify files on your webserver. If your caching plugin doesn’t have permission, you will need to ask your host or use a snippet of code below. Important: Make sure mod_filter is loaded on your server, otherwise the AddOutputFilterByType directive will not work and could cause a 500 error. We recommend checking your error logs if you have any issues with the code below. If you are running on NGINX, simply add the following to your nginx.conf file. If you are running on IIS, there are two different types of compression, static and dynamic. We recommend checking out Microsoft’s guide on how to enable compression.